Materials of a substantiation of ecological safety of new preparations and substances. 3. Carrying out of training in the field of preservation of the environment for experts of the enterprises. Branch courses on vocational training which give the right to work with the dangerous waste and allow to get the waste management license which allows the activity on the collection, transport, processing, recycling or disposal of waste materials (the Russian Federation Government regulation № 524 of 26.08.2006) and preparation and certification of heads and experts of the organizations in the field of maintenance of ecological safety (The order of Federal Agency of ecological, technological and nuclear supervision from November, 20th, 2007 N 793). . Preparation and presenting to the licensing agency a complete set of documents, materials and the expert conclusions. 5. 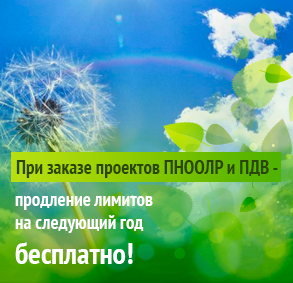 Development of the typical branch documents in the field of environment protection. Monitoring of an environment on the objects of waste disposal. 6. Legal consultation and supplying with the information in the field of environmental protection. Forming of the full set of relevant thematic documents (on the general questions of environmental protection, atmospheric air protection, protection and use of surface waters, protection and use of entrails, waste management, payments, etc) and their renewal.